If you manage a Facebook page you may have noticed the anatomy of branded posts changing over the past year. With innovations to advertising happening every day on the social media platform it’s easy to exit out of the pop-up instructions that appear when you encounter a new feature. 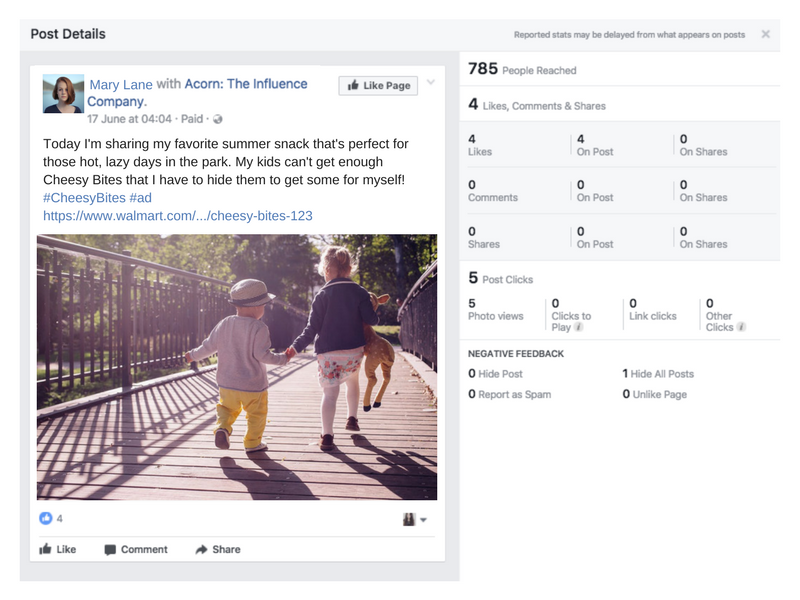 But unlike other new features, the Facebook Branded Content Tool, plays a key role in upholding FTC influencer marketing rules, and all influencers should know what it is and how to use it. In an effort to help influencers and brands follow the Federal Trade Commission’s online advertising regulations Facebook launched their own Branded Content Tool. Using it, influencers can publish sponsored content, and attribute it to the brand compensating them. Facebook defines branded content as a creator or publisher’s content that features or is influenced by a business partner for an exchange of value. Facebook requires creators and publishers to tag their business partners in their branded content posts. When tagged, the brand will be notified and be able to see high-level performance insights as well as have the ability to share the post to their Page and put additional spend behind it. You can recognize a branded content post by seeing ‘Paid’ within the post just underneath the ‘with’ tag that identifies the brand. There’s a variety of ways influencers and brands can create a branded content post. To publish a standard post with the brand content tool from your Page composer follow the steps shows on Facebook’s Branded Content Help Page here. Keep following Acorn’s blog to stay up-to-date on the latest innovations from Facebook, and other social networks. Another great new feature released by Facebook is the ability to “tag a product” in your post. Gone are the days where your audience have to search through a brand’s site for the item you described. Here’s a post that describes how to do it. While the branded content tool helps your audience better see the relationship you have with brands it isn’t a replacement for FTC recognized disclosures. Use the branded tool in unison with FTC compliant disclosures that explain that you’ve been compensated #sponsored, and that your content is a paid #ad. Learn more about the importance of FTC compliant disclosures here.